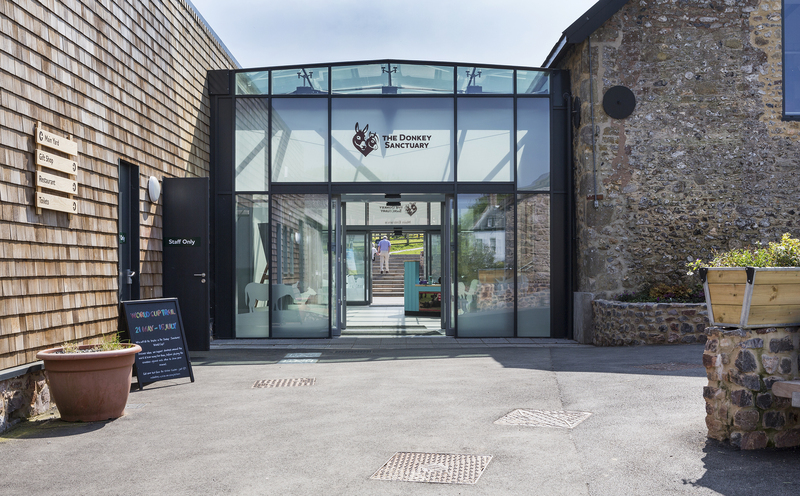 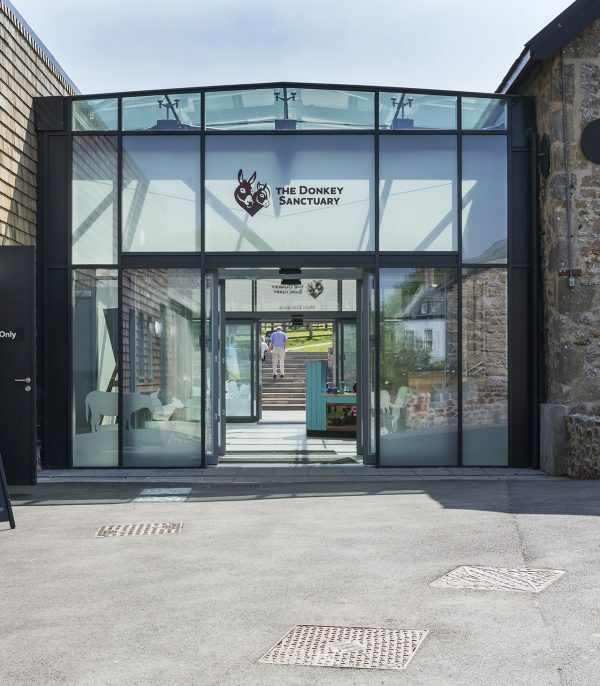 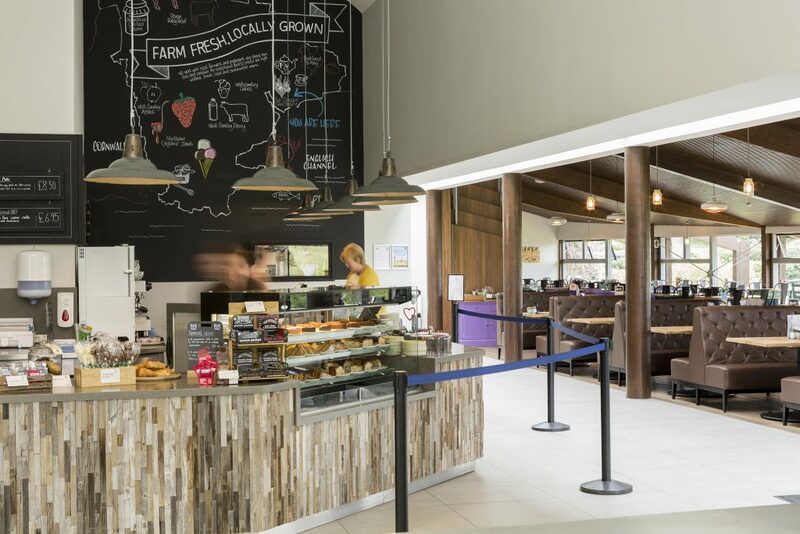 The LHC team was commissioned as architect and landscape architect by The Donkey Sanctuary to design a 200-seat restaurant, visitor centre and shop at Slade House Farm, near Sidmouth to welcome the charity’s increasing number of visitors. 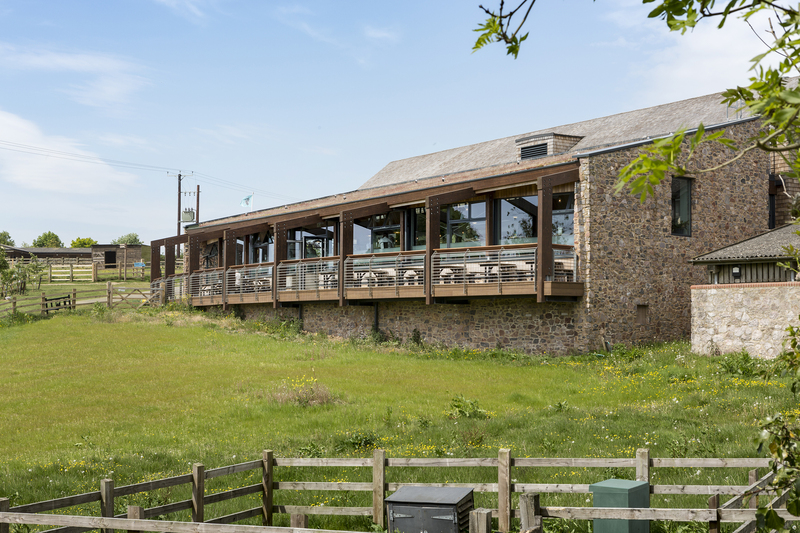 The restaurant includes a dining area to seat 200 and an outside terrace, with south facing views over the valley towards the sea. 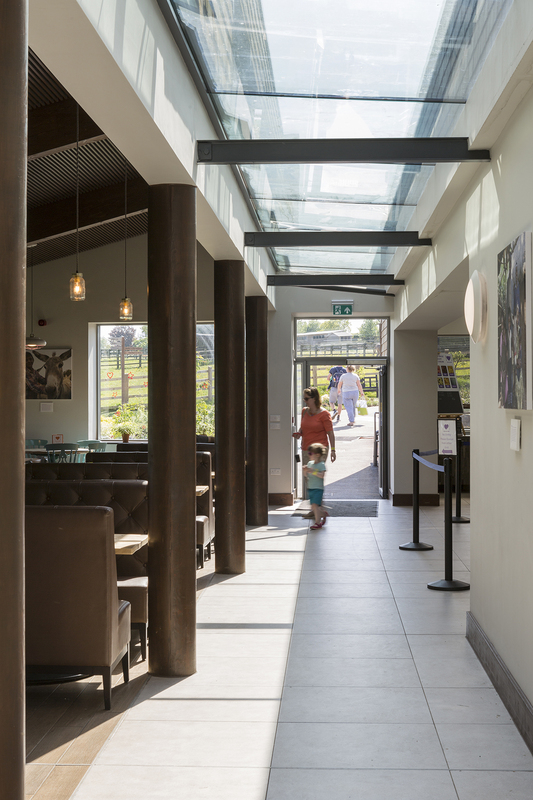 The building has been designed using cedar shingles in a contemporary manner, with the restaurant also having a sedum roof. 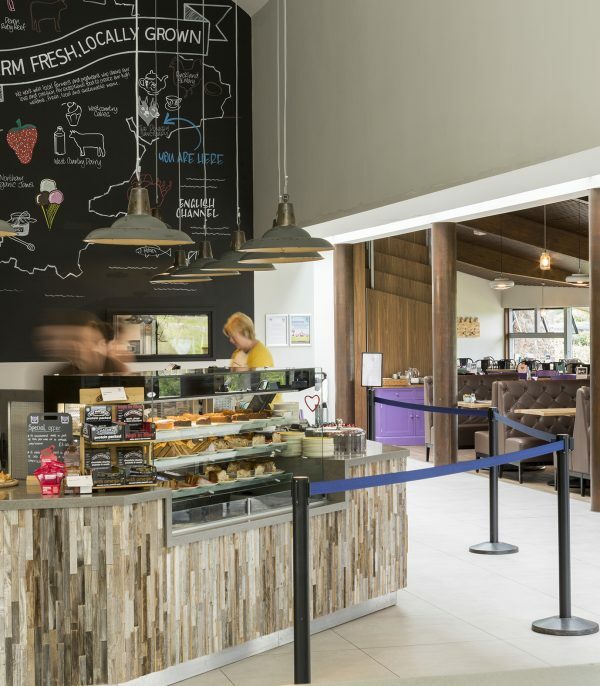 A modern glass reception then links the restaurant building to the existing Grade 2 listed stone barns, which are converted to house a new visitor centre and shop. The scheme includes a woodchip biomass plant, which is supplemented by donkey manure. 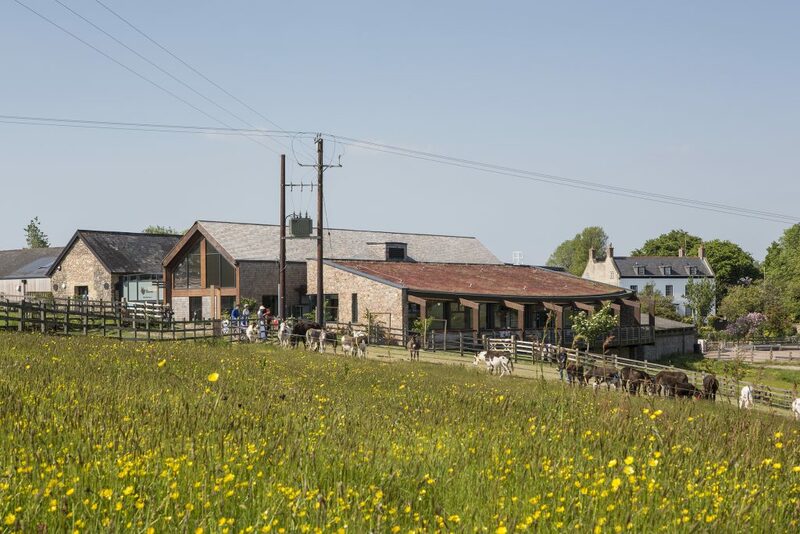 The project also includes an enlarged coach and car park and improved visitor trails, to provide for the 300,000 visitors that now come to the site each year. 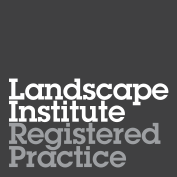 The site is located within the East Devon AONB, so the buildings have been sensitively located within the landscape. 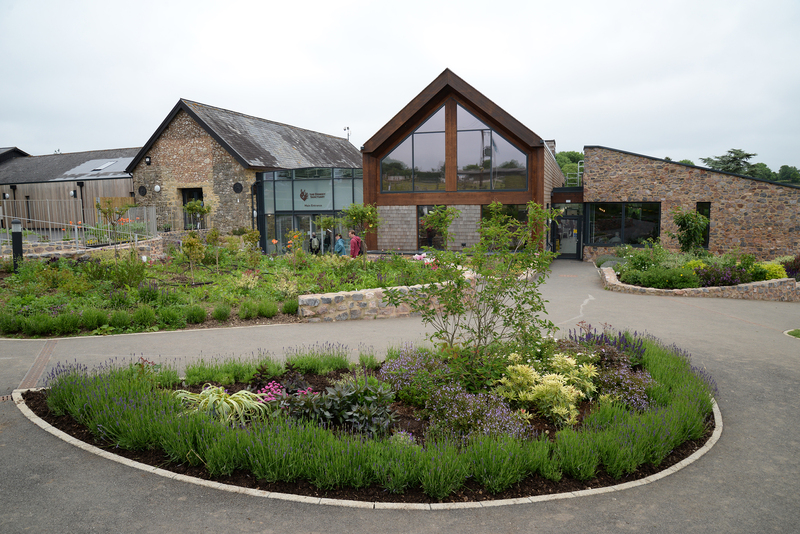 The project also involved making provision for protected species, namely dormice and bats.